I "sees" Wayne downtown all the time. He's usually on his way somewhere minding his own business. 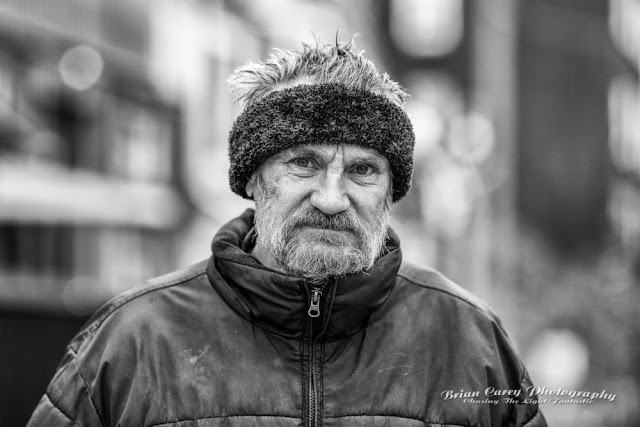 The first time I met him four years ago, I had to ask him if I could take his photo; he has a great face for a portrait and such intense eyes! 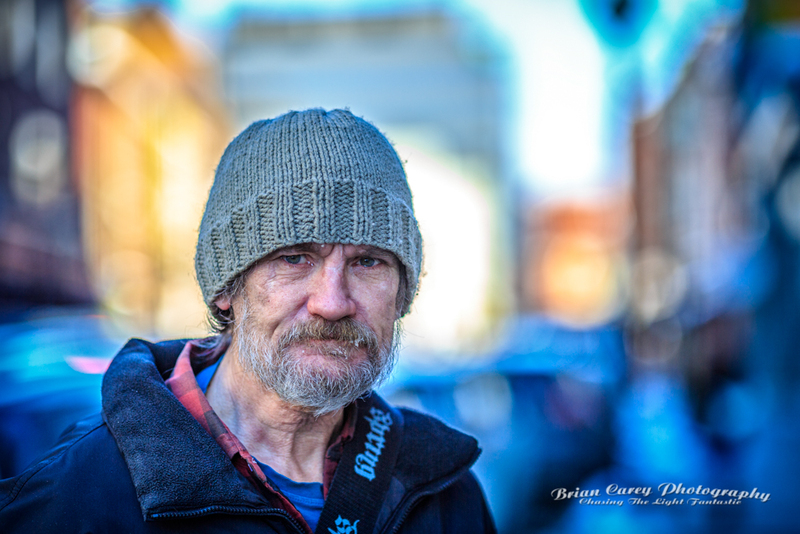 I photographed him 5 or 6 times now and each time we meet we always have a great chat. I gave him copies of two of the photos so he can have the memories! Seems like he's one of those guys, if you give him a chance you will find he is the nicest kind of fella!